The following projects are co-financed by the European Union with the European Regional Development Fund (ERDF), within the regional operational framework ‘FEDER-FSE-IEJ Picardie 2014-2020’ or under the Horizon 2020 programme. These activities are co-funded by the European Union under the ERDF Operational regional Programme ‘FEDER-FSE-IEJ Picardie 2014-2020’ and entitled ‘Opération relative à la transmission de connaissances d’un centre de transfert vers les entreprises dans le secteur de la bio-économie (N° Synergie : P10014123)’. 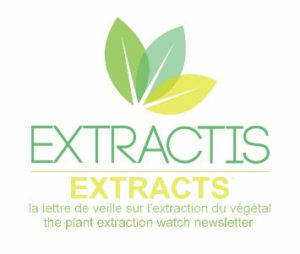 Extractis, with the help of a service provider, publishes a technological watch newsletter dealing with vegetable extraction and related technologies. For this purpose, research strategies in various databases (including general web crawling, patents databases, peculiar structures watching, and scientific & technological databases) have been developed with the help of keywords related to technologies combined with other keywords in the field of the plant kingdom. Each month, these strategies (several thousands of complex questions) lead to the identification of a few thousands items with a potential interest to our contacts and internal developments. We select about fifty of them, which are published in the EXTRACTS newsletter. The letter is, at this point of time, sent to more than 2 000 members, clients or stakeholders interested in the bio-economy sector. This project is co-financed by the European regional development fund (ERDF). The programme aim is a better use of agro-resources and to improve regional bio-economy and its visibility through the development of some biomass fractioning using chemical or enzymatic processes. This programme has several technology, quality, certification and labelling, partnership and communication components. These two projects are also co-financed by the European regional development fund (ERDF). The treatment of saline and with high organic content wastewaters is challenging for many industrial sectors. The current standard treatments are often proving ineffective with a high salinity, the salts inhibiting the bacterial processes. In this respect, EXTRACTIS is one partner of the European collaborative project SALTGAE (within the Horizon 2020 Programme), this project aiming at developing a new and efficient solution for saline waste waters using special microalgae and bacteries known for their salt-tolerance. Three industrial sectors producing wastewaters with various salt content are studied in this context: the aquaculture industry (with a salinity of the wastewaters around 3 g/litre), the whey industry (10 g/L) and the tanning industry (40 g/L). The goal of the SALTGAE project is to use microalgae to decrease the organic load (and the needed added nutriments) in the wastewater. The biomass is then harvested and then fractionated into compounds of interest for various end-uses. In parallel, SALTGAE is also aimed at upgrading all the by-products generated during the process. The project involves 3 demonstration sites for microalgae cultivation in Slovenia, Italy and Israel and trials up to the pilot plant scale are involved. 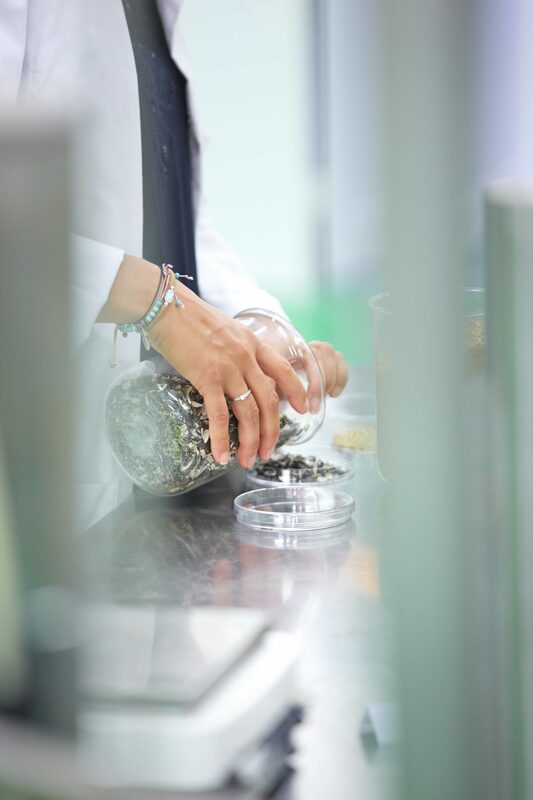 With its experience in plant fractionation and by-products upgrading, EXTRACTIS operates on two levels: for freshly harvested microalgae fractionation and for the last wastewater treatment after harvesting. For the demineralization of wastewater after microalgae harvesting, EXTRACTIS is more specifically in charge of electrodialysis testing, as another partner evaluates reverse osmosis in parallel. The SALTGAE project involves 19 partners of 9 different countries (Spain, Italy, Slovenia, Israel, Ireland, Portugal, France, Belgium and Sweden) and the coordinator is a Spanish company. This is a 36-month project started in June 2016 for a budget of more than € 9.73 million. This project has received funding from the European Union’s Horizon 2020 research and innovation programme under grant agreement No 689785.